ISTP is proud to celebrate the 70th anniversary of Le Petit Prince by Antoine de Saint-Exupéry. The children's book turned 70 in 2013, and is an international sensation with its many themes of exploration, youth, beauty, love, responsibility, etc. Beloved by readers both young and old, this book is a cherished work to many. The International School of the Peninsula declared March 19 through March 26 "Le Petit Prince Week", where students will be engaged in numerous special and classroom activities. 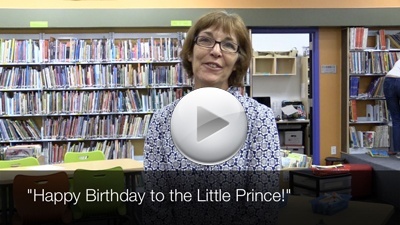 Watch the video above to hear ISTP faculty, staff, and administration's favorite moments and memories from Le Petit Prince. Why not share your own favorite Le Petit Prince memories on our Facebook page?